Afloat.ie Facebook 'Likes' Reach 5,000 – Join Us! #FACEBOOK – Over 5,000 people now 'like' Afloat magazine on Facebook, the social media site. Thanks to all our friends for your comments, suggestions and interest in Irish boating and sailing. It's a satisfying number to date because the aim has always been to provide Irish sailing and boating clubs, classes and the wider maritime community with comprehensive and reliable information in a dynamic independent site to promote our great sport to the wide audience only the internet provides. As well as our popular facebook feed the Afloat digital offering includes a healthy twitter feed (4,000 followers) and the independent and award winning Afloat.ie website at its core. We send out a free daily enews to a growing community of over 6,000 boaters. You can subscribe to it HERE and you can check out back issues HERE. 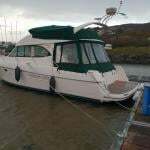 We also have a separate boats for sale website with over 300 different types of boats for sale. The site has a strong returning readership with around 48% of daily visits being return visitors. In fact over the peak sailing months in 2014, Afloat surpassed its own records for unique (direct) visitors with an average of 52,024 unique visitors a month. We work hard to achieve top Google Search rankings and together with a tightly bound community of readers, Afloat.ie's combination of opinion, hard news and features puts it at the very heart of the national conversation on sailing, boating and maritime affairs. Thanks to all our readers for your continued support! #ANGLING - Northern Ireland river anglers are taking a novel approach to lobbying Stormont over salmon exploitation by harnessing the power of social networking. According to the News Letter, the NoSalmonNets campaigners "have swapped their fishing rods for laptop computers", using Facebook to attract support for their campaign to bring an end to the offshore netting of wild salmon stocks. As previously reported on Afloat.ie, Northern Ireland's Department of Culture, Arts and Leisure (DCAL) has called for a voluntary ban on offshore salmon fishing, following new research that shows a significant drop in their numbers in the North's rivers. Seamus Donnelly of NoSalmonNets has welcomed DCAL's recent decision to stop issusing licences for commercial salmon nets that may "contravene European law" off Antrim's north coast, made in an effort to protect salmon stocks in the Foyle river system. Donnelly explained that the campaign was borne from frustration at the apparent inaction by the NI Executive over the protection of salmon. It's Blue Monday but Cheer up, Come and Join us! #BLUE MONDAY – Christmas credit card debt? New Year Gloom. Still a month before the boat goes back in the water! According to some mysterious science today is dubbed 'Blue Monday 'aka the saddest day of the year'. Cheer yourself up on this the third Monday in January with an eyeball on our homepage and all the latest Irish boating stories. Better still, sign up for our enews, you're still in time to receive this lunchtime's offering! 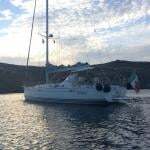 You can also join us on facebook and twitter with daily updates on Irish sailing and boating news! Fans of the Tall Ships Races have launched a new Facebook page to campaign for their return to Cork Harbour. Waterford recently celebrated a successful Tall Ships Race weekend, with thousands turning out to welcome the magnificent fleet. The campaigners state: "The Tall Ships Race came to Cobh & Cork in 1991, since then it has been to Waterford (twice) and Dublin once and will be back to Dublin in 2012. Cork Harbour should be hosting this event again." The page, which went up sometime last week, has already attracted 62 'likes', with many relating their fond memories of the previous Tall Ships visit to Cork 20 years ago. Elaine 'Shooter' Alexander is set for hero’s welcome this week as she becomes the first woman from Northern Ireland to circumnavigate the island of Ireland by kayak. The solo paddler is expected to reach the finish line at County Antrim Yacht Club on Wednesday after her 70-plus-day test of endurance. Shooter began her epic 1,000-mile voyage on 3 May, facing a tough challenge navigating a coastline of cliffs and headlands, strong tides and brutal weather. She has been storm-bound for a total of 21 days, often only with a small tent for shelter. When asked what home comfort she was most looking forward to, she simply replied: "A proper toilet and some clean clothes." Shooter embarked on the challenge to raise funds for SHARE, a charity providing outdoor activity programmes that promote the inclusion of disabled and non-disabled people. “I expected and had trained for the physical challenge but I don’t think you can ever prepare mentally," she commented. But connecting with fans and supporters through social media made a big difference. “The Facebook page has really been a lifeline," she said. "There is nothing more motivating than coming off the water after a tough day to read so many supportive and funny comments from well wishers." See below for a map showing Shooter's live position as she edges closer to the finish line. Afloat, in cooperation with Marine Clothing specialists Henri Lloyd, have four backpacks to give away to Afloat.ie readers in yet another Facebook competition. To enter, send an email to [email protected] with your answer to this question in the subject line: When was Henri Lloyd founded? The answer can be found on the Henri Lloyd Facebook page. To win, you must be a fan of both the Henri Lloyd and Afloat Magazine Facebook pages. Four lucky winners will receive a Henri Lloyd CSL backpack each. The CSL backpack is constructed from ballistic nylon and features a padded 'air flow' back panel to reduce moisture build up. It comes equipped with a sternum strap for added security and comfort and major seams are double sewn and capped with binding tape before being sewn again. High stress areas are reinforced. Afloat, in cooperation with Marine Clothing specialists Henri Lloyd, have four backpacks to give away to Afloat.ie readers in another exclusive Facebook competition. To enter, send an email to [email protected] with the answer to this question in the subject line: When was Henri Lloyd founded? The answer can be found on the Henri Lloyd Facebook page. To win, you must be a fan of both the Henri Lloyd and Afloat Magazine Facebook pages and be over 18 years of age. Four lucky winners will receive a Henri Lloyd CSL backpack each. The CSL backpack is constructed from ballistic nylon and features a padded 'air flow' back panel to reduce moisture build up. It comes equipped with a sternum strap for added security and comfort and major seams are double sewn and capped with binding tape before being sewn again. High stress areas are reinforced.